Can Kozilek stop an Infa-Mill Combo? 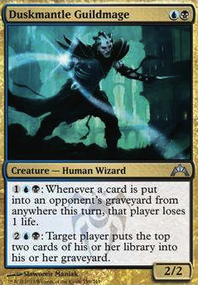 : Whenever a card is put into an opponent's graveyard from anywhere this turn, that player loses 1 life. : Target player puts the top two cards of his or her library into his or her graveyard. keevel on Psst... Hey, Wanna Glimpse the Unthinkable? 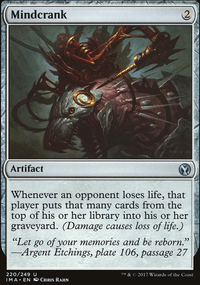 Field of Ruin would be a good 2-3 copies with Archive Trap too. Always love a good U/B mill. If you want another win con, Duskmantle Guildmage + Mindcrank is a fun one. Check out adding Visions of Beyond if you find that you need more card draw. 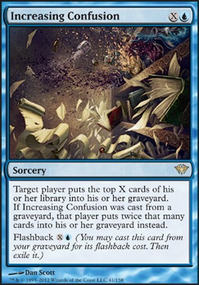 For your mill spells, definitely look into upgrading to Glimpse the Unthinkable , Archive Trap , Breaking , or Mind Funeral . I agree with wallisface as well. It seems like you're trying to fit both the creature mill and the spell mill into the same deck. In my experience I haven't really found a U/B list that can do both. This is a great start though! The idea started with gagging the power level of what a Persistent Petitioners should be. 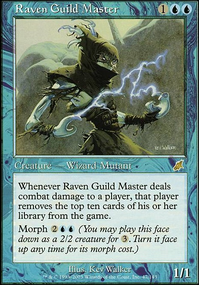 My play group largely consists of mostly highly tuned deck with power level around 8, so I want to build a deck that is able to survive and thrive in my group. But clearly a mill strategy is not that strong in EDH, so I went with a group hug mill route and play the politics. Since the difference in power at the beginning is so big, most players won't pay much attention to you. Plus mass card drawn is the most successful feel good strategy for group hug and with enchantments discouraging other player from targeting you and card draw in some way is just another to mill your opponents and with adviser mill to carry the deck in the final stretch of the race everything starting to take shape and form the basis of this deck. 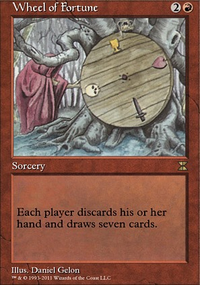 After play testing I realize I don’t need that many Persistent Petitioners because the best way to use petitioners is to hold it in your hand until in the last stretch when you see a opening or disrupt a player’s win con that has to do with the library therefore no need to cards like Bloodbond March , Wood Sage , Thrumming Stone etc. 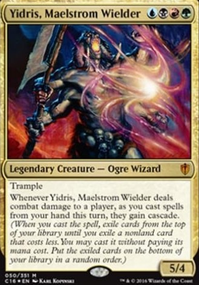 Instead I added counterspells for other’s win con disruption and my own jinky combo like Mindcrank Duskmantle Guildmage and Phyrexian Unlife Solemnity to increase my win percentage if I get to the final 1v1. This deck is ablt to get second play fairly consistantly and from time to time that mill strategy does work if game is longe. Overall I'm happy with what I got here and by sharing with the community helping ti get more feedback to improve and learn. Please work together and try to build the perfect Persistent Petitioners deck.